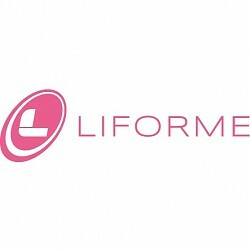 Liforme is looking for a Digital Marketing Manager. If you meet the requirements below, you will be eligible to apply via Digital Marketing Community. Build brand awareness, saliency and engagement in line with targets by the market. Improve brand equity across all digital channels consistent with the brand positioning. Drive qualified traffic and customers to the website in line with targets by the market. Manage and oversee the building of an active, engaged and supportive social network for the brand in line with targets by the market. Develop and the implementation plan for each key market across all relevant digital channels and execute effectively and efficiently. Evaluate and report performance of all digital marketing campaigns identifying key learnings to drive KPI improvements and optimize spend (ROAS/CPA). Optimize all marketing activities for SEO and manage SEO performance. Maintain a best-in-class understanding of consumer, market and technology developments, issues and opportunities proactively communicating the implications to the business. Devise testing protocols, implement and evaluate tests for key learnings to drive KPI improvements. Minimum 5 years of working experience in the same role. A proven track record of planning and managing successful digital marketing campaigns across all channels for a consumer brand. Extensive working knowledge of the overall digital marketing mix (SEO, SEM, PPC, CRO, content, social, email & affiliates). Proficient experience in dealing with various tools such as (Google Analytics, AdWords, keyword planner and webmaster tools). Advanced understanding of A/B and multivariate testing. Deep analytical and data-driven thinking skills. Strong attention to detail and tracking of results. Liforme shop leads the world of yoga gear, eco-friendly, non-slip yoga mats for innovative yoga equipment designed to make yoga practice better.